Click for FREE Access To The 14 Day Blog Income Challenge! Its the start of a new year, which is often a time for making resolutions, cleaning up, clearing out, and giving things a fresh new look . This is also a great time to go back through work that we’ve published over the last year (or even earlier) and give it a refresh. Think about it – you may have published a great blog post a year ago that brought ton of traffic and new readers. After some time, the traffic and hype dies down a bit and readers move onto your newer posts. But if the information is still relevant and valuable – don’t you think your more recent subscribers and readers would love to check it out? It doesn’t always take NEW content to bring in new traffic – what about content that is new, to your newer readers? 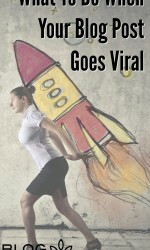 This is a great way to engage with your audience and grow your traffic, without having to publish brand new blog posts! 1. Use a social media scheduler/recycler to automate the sharing of ALL your content, both old and new! (I use and highly recommend Shareist for this) – Go through all of your old posts and add them to a social media recycler that will automatically share your posts every 2-3 months (or at whatever frequency you determine). This puts the post sharing process on auto-pilot, and ensures that even your old posts get some regular reader love! Go through your old blog posts and consider new products or services that you could recommend as an affiliate within the posts – this is a great way to increase your income, especially if you can find ways to add new affiliate links to popular blog posts. Your old posts may not have graphics that are as fresh, or that jive as well with your current branding. Give your old posts a great look with a new/fresh pinnable graphic for Pinterest, and Pin it out to your board and group boards. This is great not only for directing your readers to different content, but its also HUGE for SEO. 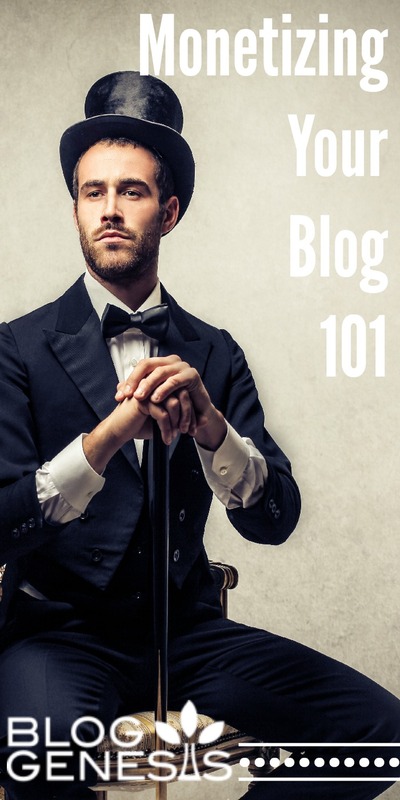 Within each post, set a target to link to 1-2 other blog posts. Make sure the links are within the main body content, and link out naturally within the text. You may need to create a great shareable graphic, for this (you can either take a screenshot or create one with picmonkey). I use Buffer to create graphics for instagram on my computer, and then they get pushed to my phone where I can one click upload them to Instagram. Make sure you check out my video on how to track and properly link from Instagram to your blog posts. Got a few posts on the same topic or that are part of a series? Combine them into a downloadable ebook that you can deliver as a free opt in when building your email list, or for sale. Visit any posts that had less than ____ hits for all of last year (whatever would be the rock bottom amount for YOUR blog) and give them a makeover. Add fresh content, a unique voice or angle and new images. Change the post date to the current day, and update. If you use your date within your permalinks, this will change the URL which could cause problems – in that case I’d recommend publishing a new post altogether and forwarding the old post to the new one. Create a list of some of the best posts from the previous year, and post it in your sidebar, footer, or on a separate page of your site where you list your best content. Autoresponders are email sequences that are automatically sent out to your followers at a specific schedule after they subscribe. A great way to use your autoresponder is to fill it with teasers and links out to all of your best (old and new) blog posts! If you don’t have an Autoresponder yet, you can click here to set it up through Get Response. I also lead an in depth walk through on how to set up your autoresponder, in my Email Marketing 101 Workshop. 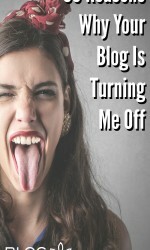 Do you have a series of old blog posts that are extremely popular and get a lot of comments? Consider consolidating them and turning them into an online course or workshop! Make sure you are on my email list (sign up at the bottom of this page), I’m leading a free webinar in a few weeks that will discuss how to set up an online course. Got old content that could be improved upon with video? Maybe a video tutorial or just a shot of you talking about the topic of your post. Your video can then be posted to Youtube and shared on social media channels to create new interest in your original topic. Live streaming is all the rage, and it provides a great opportunity to reach new audiences. Take a topic from one of your old blog posts and go on Periscope or Blab or Facebook live and invite your readers to join in on the conversation! Record the video and embed it with your blog post for sharing on social media. Check out this post to learn some super cool ways you can also repurpose and distribute your live streaming videos. Put a slight spin on the content and republish on a different, but highly trafficked blogging platform such as Medium, Tumblr or Reddit. I'd be grateful if you would share it with others who may find it valuable. Thank you! Am I really your first comment? Thank you for some great suggestions. 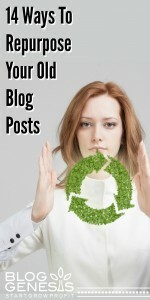 I love the idea of working through old posts and adding videos etc to rejuvenate them. Thank you so much. Great tips. Thanks for sharin! Some great tips here – really good motivation to take a look at some old posts. I got a boost of over 1200 new hits in about 1.5 weeks to my older blog posts after doing this – definitely worth the time! I am writing a post about Medium. I will link to you since you recommend it.